2017 Recap: Over 1800 Children Impacted! 2017 was a year of reaching more children in the Philippines and India. It was also a year of learning and growing for our team. We are grateful to everyone who has supported and partnered with us to make this happen! Below are a few 2017 highlights. 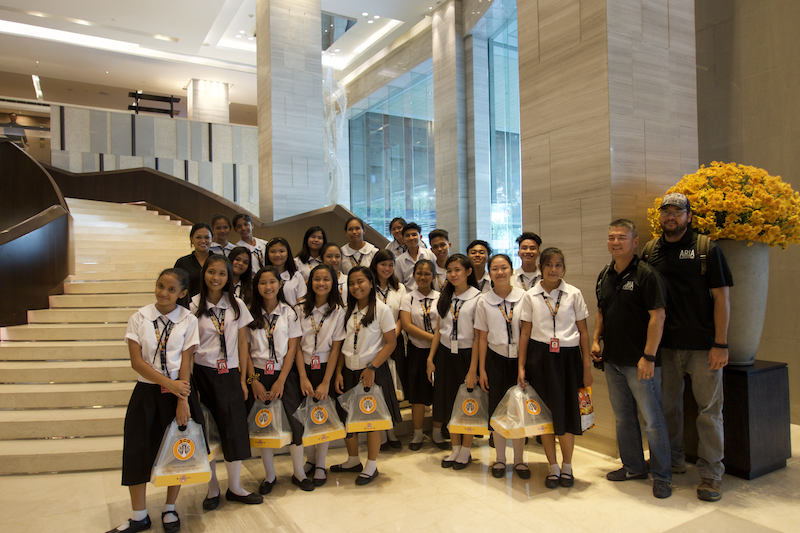 We sponsored another class of 11 students from A Better Chance (ABC) foundation totaling 23 students in the Philippines to attend high school and earn their diploma in the next couple of years. Our team had the opportunity of meeting all of the students last November. Through generous donations, the students received hygiene gift bags and spent the day with the ACF team over food, games, and more food! It was inspiring to hear about their dreams, aspirations, and what they’ve accomplished so far while in high school. We distributed a over 40 filters to families and communities in the Philippines. Part of P20’s WaterDrop project is to follow up with the communities on the status of the filter. On our most recent trip, we followed up with filters that were distributed to Manggahan High School. These filters were attached to faucets specifically built for the filters. We found that the filters were leaking, the water pressure was excessive, and it was obvious that the filters were contaminated. We were able to find a solution to help prevent contamination by having the staff distribute the jugs of clean water to designated areas and monitor the filters. This was a learning experience for the team and we are researching other water filters that may be more suitable and reliable. We also distributed 15 more filters to three villages in India. There are about 60 children who now have access to clean water! Older Post2016 Recap: Over 690 Families Impacted!